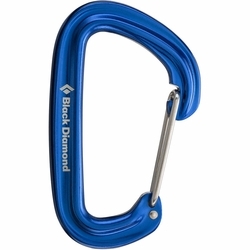 Black Diamond Neutrino Carabiner. The burly and robust Neutrino that we all know and love, now redesigned with an I-beam cross section. Time-tested wiregate perfection, the redesigned Black Diamond Neutrino carabiner is the ideal solution when all-purpose fast, light and strong is right.